inXile Entertainment has announced that Wasteland 2: Director's Cut is "expected to arrive on the Nintendo Switch this August" - and we've got a brand new trailer to celebrate. 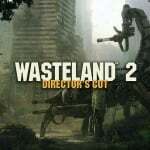 The game comes from the producer of the original Fallout and is an enhanced version of Wasteland 2 - which launched back in 2014. This Director's Cut has been available on PS4 and Xbox One since 2015 and features numerous improvements and additions to that initial release. This post-nuclear RPG is said to offer "over 80 hours of gameplay" and these feature lists should give you some idea of what you can expect during that time. - One Size Does Not Fit All: Don’t feel like finding the key for a door? Feel free to pick the lock, bash it down with your boot, or just blow it open! - Decision Making... with Consequences: With both short and long term reactivity, player choices ripple outwards, changing the game's events and forever altering the lives of those in the wasteland. - Huge & Customisable: Hundreds of characters. Thousands of variations on the Rangers' appearances. Over 150 weapons. No two players will have the same experience. - Perks & Quirks: Players can customize their squads even more! Perks & Quirks are special personality traits players can use to give their characters even more life, with their own unique bonuses... and drawbacks. - Precision Strikes: Fire on enemies and debilitate them with tactical attacks! Cripple a leg to slow an enemy down, fire on their gun to blast it to bits, or aim for the head to knock them senseless – or blow it clean off. - Expanded Voice Over: Over 8,000 lines of new voice-over dialog have been added for the game's characters and companions, bringing the wasteland to life like never before. As mentioned above, the game is "expected" to arrive in August, but the new trailer above simply mentions "fall". We'll make sure to keep an eye out for any more announcements over the coming weeks. Until then, though, let us know if you're looking forward to playing Wasteland 2 on the go with a comment below. Amazing game I played through on the PC. Looks good, It looks like the mechanics are similar to Shadow Fall or XCOM, I think I will be picking this up. Yeah, been looking forward to this since it was first announced. WRPGs are very much hit and miss with me, but when they do hit they tend to hit hard. It's been pretty tough to resist the temptation to just get it on some other system, but for a long game like this an option to play portable if needed would be very much appreciated. @IPrino This game is not a Diablo clone. This is a much deeper, more tactical kind of RPG. Also, if I'm not mistaken, combat is turn based (or at least, you can pause the game to issue orders to your party). Finally a date. I've been waiting for this game to come out. Really time for them to make a new one. Or an expansion like War of the Chosen for Xcom2. @IPrino imagine an RPG but instead of turn base battles it turns into something closer to xcom, or to a lesser extent fire emblem. @Agramonte Wasteland 3 is on it way, last I heard they was adding coop that didn't need both players to always be online. I've been meaning to play this for a while and the Switch seems like a great place to do it. It's gonna totally depend on price though. I'm not going to pay $60 to play something that I can get for $10 on a different platform. @abe_hikura Apparently - but they been a bit quiet. Hopefully this means the Switch will also get it. These type of games are good on handheld. Oh my, so many games, so little time. Backlog keeps growing and growing. I love Fallout 1 & 2. Definitely picking this up but will wait for physical version if there is. Playing it now on my Xbox thanks to game pass. Absolutely brutal, does not hold your hand. Brilliant! Can't wait to play this on the go (at work). Loved it on the ps4. Yes please, this one is on my to purchase list. That UI/text is going to look absurdly tiny on portable mode. Already looks unreadable on my iPhone 6S in the trailer. No way I’m buying that. Wow, this is awesome! Fargo and Avellone back together again. People wanted Fallout 3 on Switch. We just got Fallout 3 on Switch! The real Fallout 3 for anyone that cared about the series before it became TES with nukes. @IPrino This is the real Fallout 3 by the original creators of Fallout at Interplay/Black Isle. Bethesda's fallout games are really just Elder Scrolls dressed in the trappings of Fallout they bought at auction when Interplay went belly up. Fallout 1 & 2 looked....well exactly like this. They were of course mouse point & click driven for navigation with deep menus, but the way combat works in these games is when battle starts the game pauses. Technically this is Wasteland 2, but Fallout 1 was actually a spiritual successor of Wasteland 1, both created by Brian Fargo, who also created this. I haven't played Wasteland 2 yet, but in Fallout, when the game pauses at the start of battle you have Action Points to spend on movement, and can attack per turn. It's highly tactical. If you played Codename Steam on 3DS, you could equate combat in that (but not overall grid movement for map navigation) to the combat of Fallout & Wasteland. V.A.T.S in FO3 & 4 tried to approximate the old system....but it only approximated it. Nothing Diablo about it. It's neither action based or loot driven. It's turn based, CRPG with loot and stores, yes, but not "39 different versions of Deatly Gauntlets with different numbers." but more like ration packs, supplies and occasional equipment if you're lucky. This has to be some kind of mistake. I was assured there were no good games coming out for Switch in 2018. Everybody who saw the E3 presentation told me not to worry, there was a drought coming and I wouldn't have to dig into my wallet again and again like I was doing all through 2017. So many times I was told "there is nothing happening between Octopath Traveler in July and Smash Bros in December". I'm starting to wonder if you guys even really have an uncle who works at Nintendo. AAAAAH! I loved Fallout 1 and 2 and although I enjoyed Bethesda's FO games, I always missed the feel of the originals, never got around to picking this up on PC but sure as hell getting it on Switch! One of the many games am looking forward to from the Nintendo E3 Direct, really glad we are getting a lot of varied games !! Call me intrigued! I want to hear more! This makes me wish for a Commandos Trilogy pack, all for $19-25. @IPrino I think this title is primarily an RPG, whereas Diablo is more a hack-n-slash, dungeon crawler. So while superficially similar, I think they are quite different. @NEStalgia I guess it is just the way it looks is why I made the comparison. It looks like bnb it may be fun. @Kochambra I didn't think it was a clone of Diablo, I just got that vibe from the way it looks. I may give this a go. Interplay/Black Isle really had a lock on the CRPG genre in the day, and most of the great CRPGs that have come since have been from the various companies started by former Interplay/BI staffers and execs. Bioware's the odd one that I feel maybe was never a legendary company but was just a good partner for BI itself....Troika, inXile, Obsidian, the three splinters from Black Isle (with inXile arguably being the most true, containing the actual founder of Interplay itself, it's more correctly the "real" continuation of Interplay as an indie) have made most of the best RPG experiences....plus the forth prongs, Bioware, being kind of hit or miss. There's a fifth prong, Volition, but they're not RPGs, they now do Saint's Row and Red Faction. Today EA, Ubisoft, Activision, 2k, and Bethesda make up the big players. Back then, Interplay, Sierra, and Activision anchored western gaming, and only Squaresoft rivaled or exceeded Interplay's RPG dominance from the East. I used a small Eee to have Fallout 1 on the go. I guess I could continue that with Wasteland 2.